Unfortunately writing bingo news sometimes means that we have to cover sad bingo stories as well as all the joyful ones of big bingo wins and bingo promotions. This particular story we felt that we had to cover as a tribute to the lady concerned. The story is one that was featured today on the Kent News website, and concerns the sad death of Denise Head a bingo caller from Ashford. Denise was reportedly mown down by a drunk driver along with Brian Moon on Sunday evening, three other people including a 12 year old girl were seriously hurt and were in hospital at time of writing. Bingo Hideout didn’t know Denise personally nor her family, but felt that as a bingo site we should cover this story to draw attention to this terrible incident as a sign of respect. The family issued the following statement to the local press : “Denise was one of six children, a mother of three and a Grandmother of one. She was looking forward to the birth of her second Grandchild at the end of this year. She was full of love, generosity and kindness, and lived life to the full. She was very young at heart, and enjoyed going out with her daughters in Ashford. 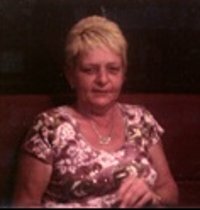 She was well known at the Beaver Road club, where she was a Bingo caller, and was on her way home from here when she was tragically killed in the early hours of Sunday morning. She had been had been looking forward to celebrating her 50th birthday and had been organising a joint party with her 30-year-old son. Denise had worked at Wilkinson’s in Ashford and more recently the William Harvey Hospital. Bingo Hideout would like to pass on our respects to the family of Denise Head and Brian Moon, and wish a speedy recovery to the others injured in this tragic accident. The driver of the vehicle involved in the accident has been charged on two counts with causing death by dangerous driving, and driving whilst over the legal limit of alcohol consumption, Mr Stefan Stanko aged 24 will appear at Maidstone Crown Court on 12th October on the above charges.